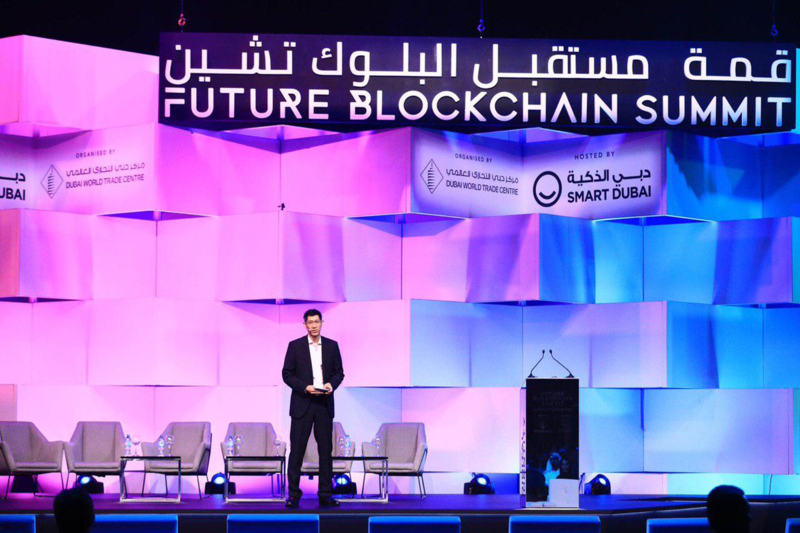 In Month 21 (March 15 to April 15, 2019), we are expanding worldwide with new and enhanced platforms, as well as endeavors across the Binance ecosystem to reach out to more blockchain stakeholders. The 21st month of Binance’s operations might be seen by some as the preparation month for something bigger. 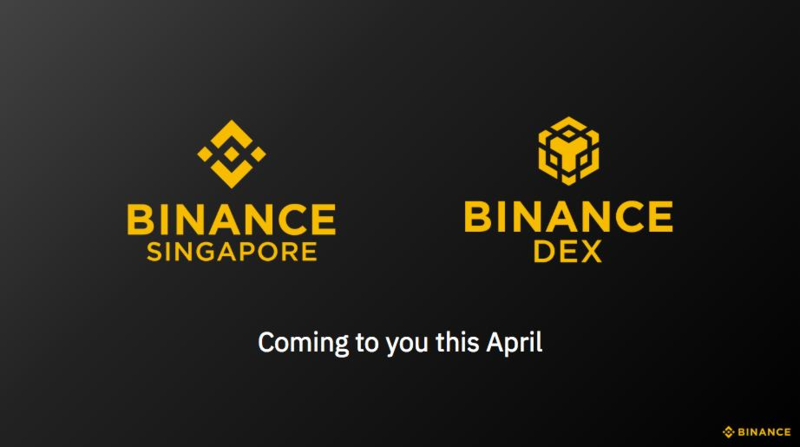 Just a couple of weeks ago, Binance CEO Changpeng Zhao (CZ) announced that Binance DEX and Binance Singapore are launching by the end of April. Binance DEX is the community-led decentralized exchange that Binance has initiated to disrupt itself and advance the crypto industry. Binance Singapore will be the first Binance fiat-to-crypto platform in Asia, home to half the world’s population. At Binance, we see these announcements as part of a continuous movement towards greater freedom of money. After all, we never stop launching new and/or improved solutions month after month, across the globe, to make it easier for all people to get into crypto and blockchain and explore the opportunities in the space. 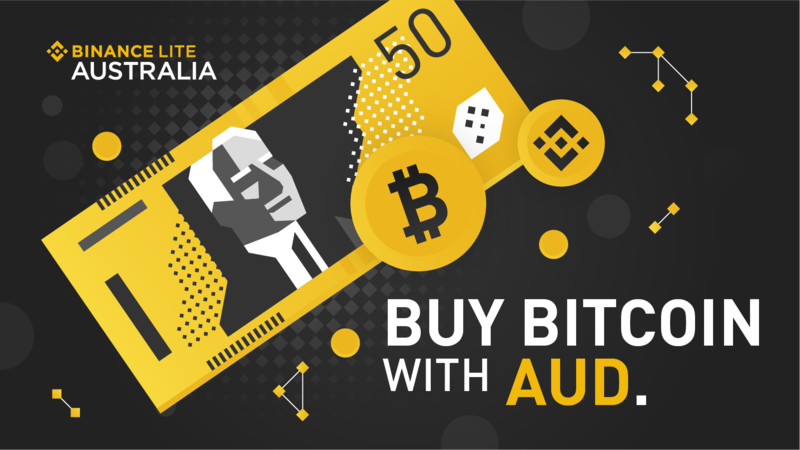 We recently launched Binance Lite Australia, a fiat-to-crypto platform that lets you buy Bitcoin in Australia using the Australian dollar across thousands of outlets in the country. Binance Uganda, which launched in October 2018 as the first cash-to-crypto gateway from Binance, has introduced a new feature that allows you to buy Bitcoin using Ugandan Shillings in just one click. And Binance.je just became the most cost-efficient fiat-to-crypto exchange in Europe and the U.K., offering zero deposit fees and some of the lowest crypto trading fees in the continent. But it’s just not in the exchange platform front that we are seeing global expansion. Different parts of the Binance ecosystem have taken on the challenge of offering global reach. 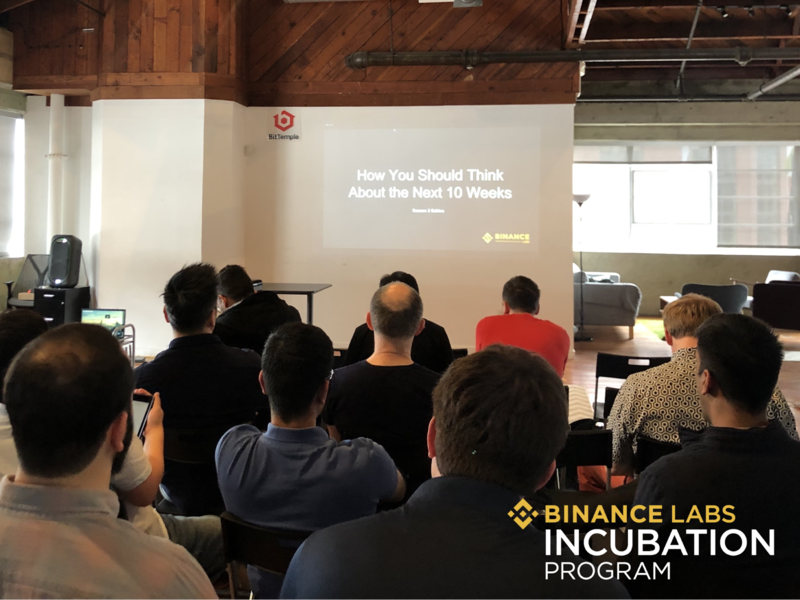 Season 2 of the Binance Labs Incubation Program saw the launch of regional chapters in North America, Europe, and Africa, mentoring even more startups and connecting them to an expanded pool of international thought leaders in the blockchain world. 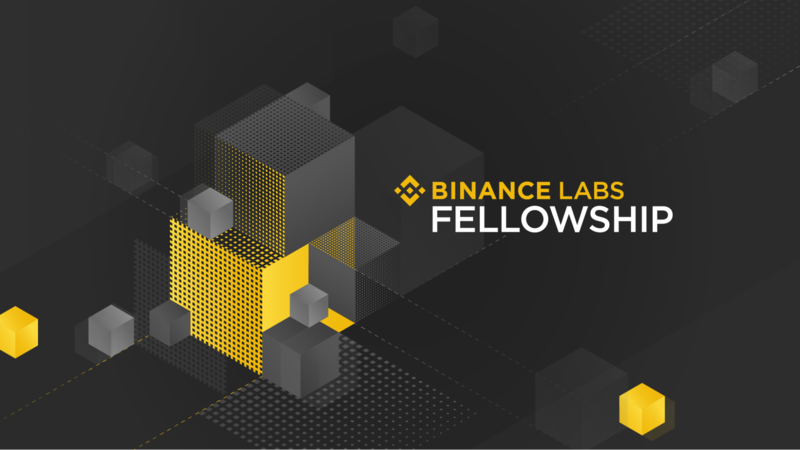 Binance Labs is also granting US$15,000 to each of its first three open-source Binance Labs Fellowship projects: Ironbelly, a mobile wallet for the Grin blockchain; HOPR, a privacy-preserving messaging protocol; and, Kitsune Wallet, an upgradeable on-chain wallet. The Binance Labs Fellowship supports developers and researchers in creating free and open-source projects worldwide. 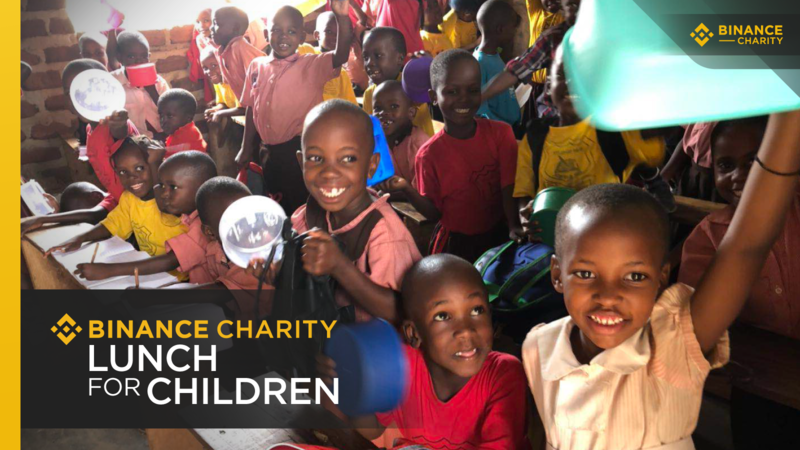 Meanwhile, Binance Charity just expanded its Lunch for Children program to 10 schools in Uganda, scaling a pioneer use case of crypto for social good. We also recognize that BUIDLing is not just about launching new solutions. It’s also about taking recommendations from a supportive community and tweaking your services and products to better serve them. The testnet launch of Binance DEX, which has been running for about two months, is about uniting the community and testing every feature of the DEX to ensure everything runs smoothly, in preparation for the platform’s mainnet launch. Several contests have been launched, from last month’s simulated trading competition, to the ongoing bug bounty program for Binance Chain. And with the newly launched coding competition, we’re joining forces with the community to to fully test the platform's features ahead of the big launch. 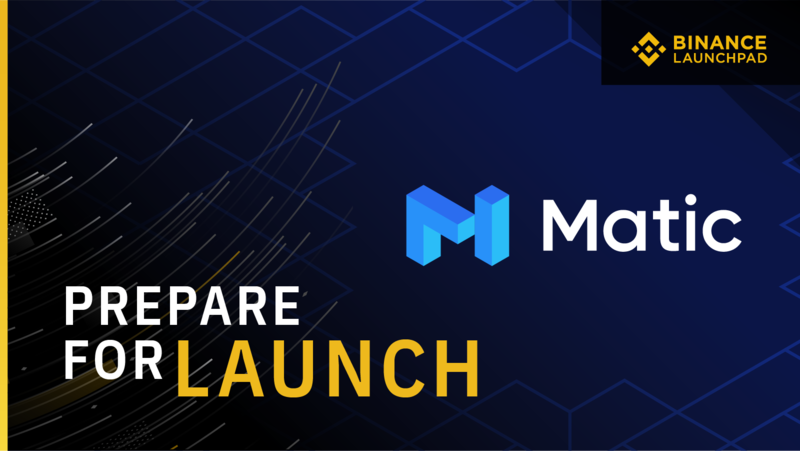 Meanwhile, Binance Launchpad may have been touted in many media outlets as a catalyst for a more lively cryptocurrency environment, but we treat it as a platform that can be enhanced constantly. Now on our fourth project this year -- Matic Network, a platform for scalable and instant blockchain transactions -- Launchpad is also introducing a new lottery format that aims to make token sales more transparent and fair to users around the globe. In Month 21, we also added new listings, published research reports, held meetups globally, and more. 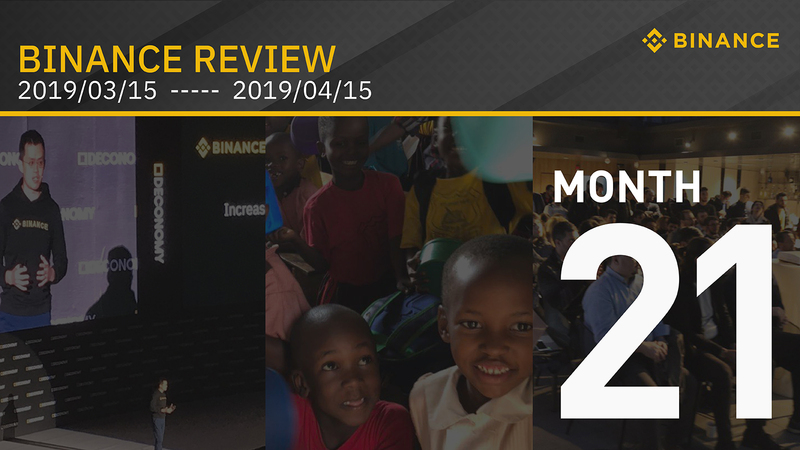 Read below for the rest of the Binance Review, where we look back on more news and updates across the Binance ecosystem. * Binance announced that it will delist Bitcoin SV from the exchange on April 22. * Binance has listed Celer Network (CELR) days after its token sale on Binance Launchpad, and opened trading for CELR/BNB, CELR/BTC and CELR/USDT trading pairs. 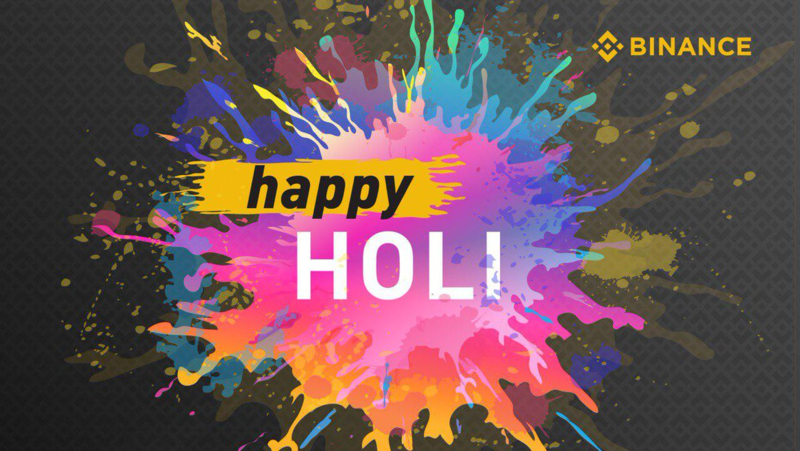 * Binance has also added the following trading pairs: ZEC/BNB, ZEC/USDT, ZEC/PAX, ZEC/TUSD, ZEC/USDC, IOST/BNB, IOST/USDT, ADA/PAX, ADA/USDC, NEO/PAX, NEO/USDC, DASH/BNB, DASH/USDT, NANO/USDT, OMG/USDT, OMG/BNB, and THETA/USDT. * As of April 15, Binance has 151 cryptocurrencies available for trading on Binance, with 460 total trading pairs, after the addition of one new token and 20 new trading pairs. After Bitcoin SV's delisting on April 22, assuming no additional listings, delistings, or additional pairs, the number of cryptocurrencies and trading pairs will change to 150 and 455, respectively. 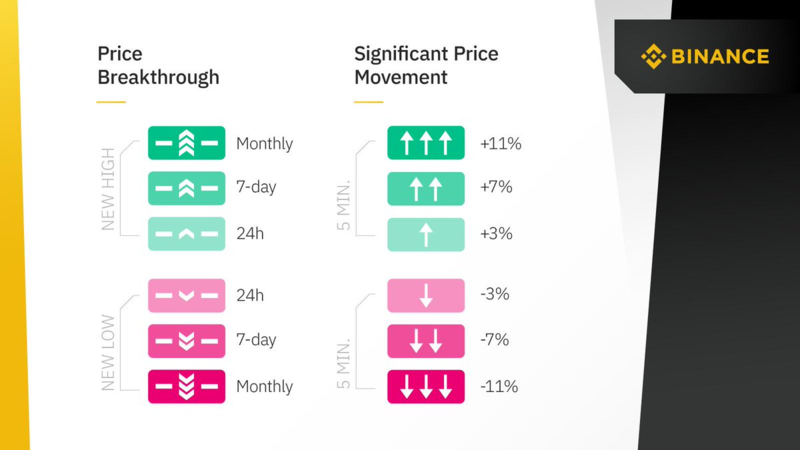 * Binance has rolled out new indicators that allow you to track price breakthroughs and significant price movements on the exchange. See these indicators on the website’s basic view, as well as our PC app, which you can download here. 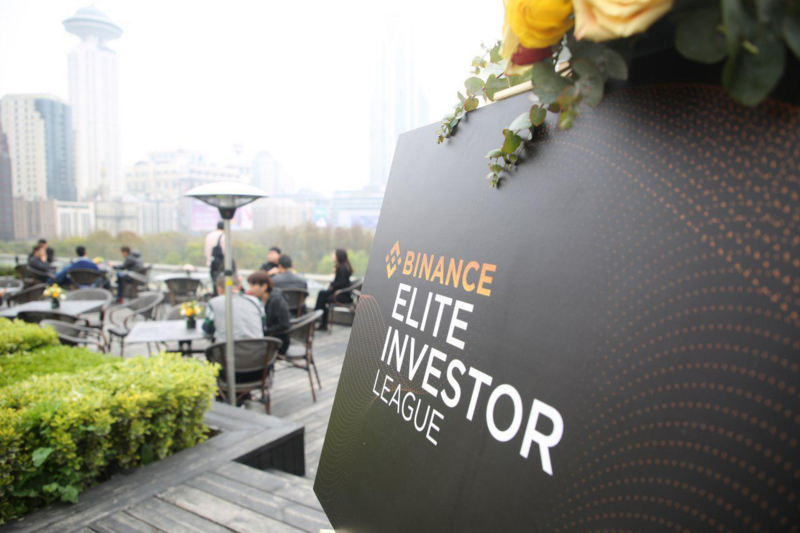 * Binance’s institutional accounts team has launched the Binance Elite Investor League, gathering industry leaders and traders to ensure that Binance is on track to provide institutional-grade infrastructure and services. Email us at vip@binance.com to stay informed on future events and meetups. 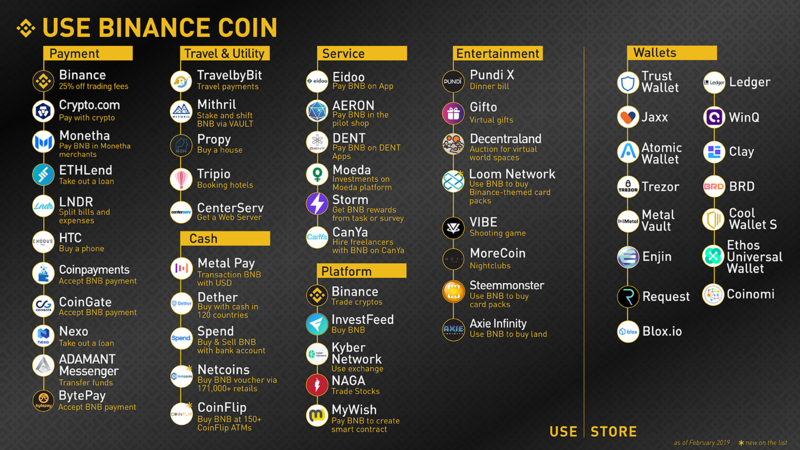 * Meanwhile, here’s the latest compilation of BNB use cases, as of March 2019. * Added crypto wallet support for more cryptocurrencies, such as Stellar, Tezos, Thunder Token, Kin, Nimiq, and Aion. * Ongoing work for a future staking feature for the app. By staking tokens, Trust Wallet users gain the ability to vote and generate an income for validating transactions. * A new homepage, which incorporates user experience improvements and new user-friendly functions. * Cryptocurrency education Playlists, which offers a curated sequence of content about important blockchain themes. 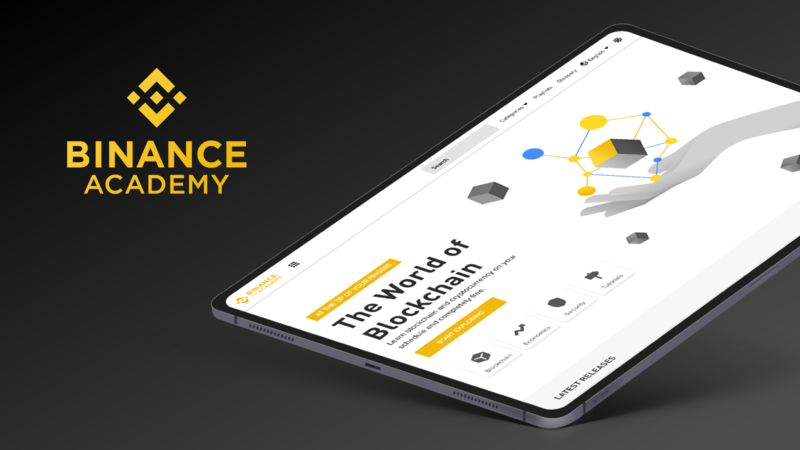 * Promoted Content, which shines a spotlight on the most relevant and timely endeavors by Binance Academy. * New lessons and videos on: Byzantine Fault Tolerance Explained [New Video Here], Dusting Attack [New Video Here] Forward and Futures Contracts, Hybrid PoW/PoS Consensus, MACD Indicators, Pyramid and Ponzi Schemes [New Video Here], and Symmetry Key Cryptography. * New glossary entries: Application-Specific Integrated Circuit (ASIC), Benchmark, Bid Price, BUIDL, buy wall, Central Processing Unit (CPU), circulating supply, confirmation time, delisting, design flaw attack, Initial Public Offering, and Integrated Circuit (IC). * Investigating Cryptoasset Cycles. A look at changes in cryptoasset correlations based on market structure. * A Look at Irregularities Discovered on Augur. Design flaws plague Augur's prediction markets. 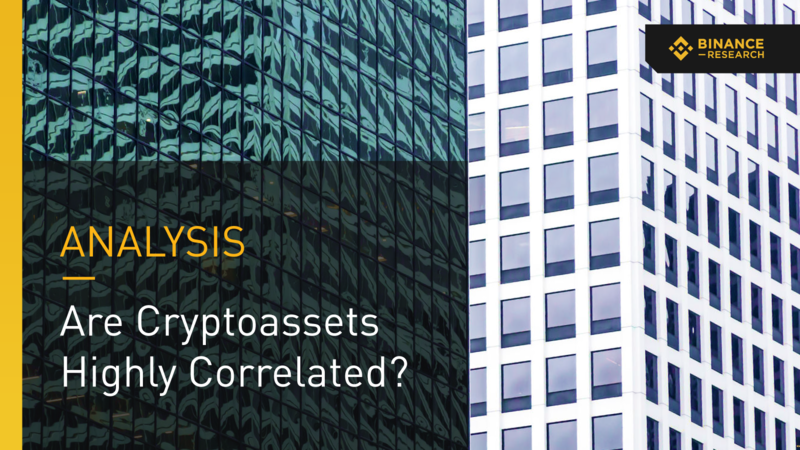 * Are Cryptoassets Highly Correlated? An exploration of relationships between Bitcoin and other large cap digital assets. Binance Research also launched a new report on Binance Launchpad project Matic Network. * Binance Charity, the philanthropic arm of Binance, confirmed that it had received 28,888 BNB in donations from Crypto.com. On behalf of all the children who are able to go back to school, we thank you for your generous donations. 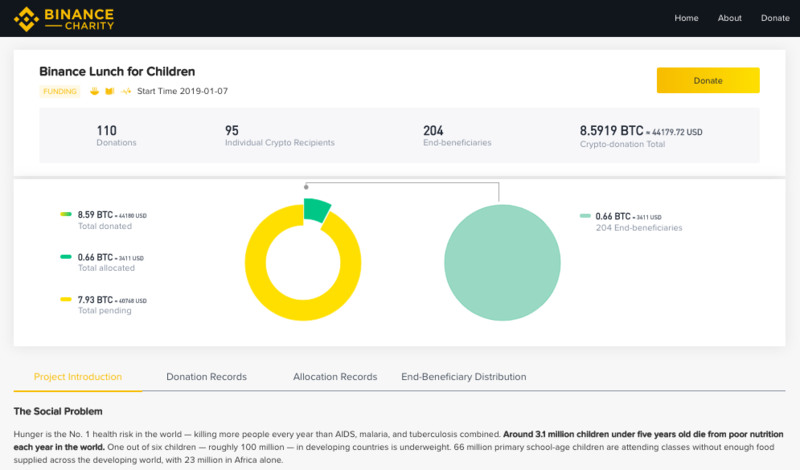 You can now view the allocation of your donations and pledges on the Binance Charity website. 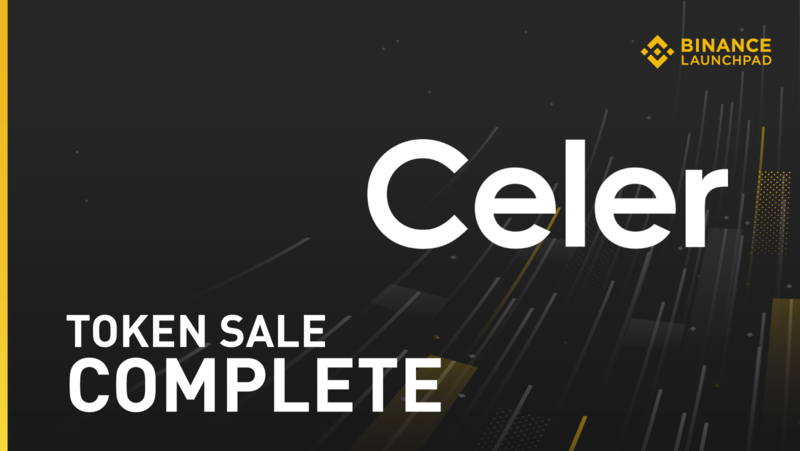 * Binance Launchpad has completed the sale of Celer Network (CELR) tokens, conducted through a single session where participants purchased CELR tokens using Binance Coin (BNB). In this session, all 597,014,925 CELR tokens were sold to Launchpad participants within 17 minutes and 35 seconds. 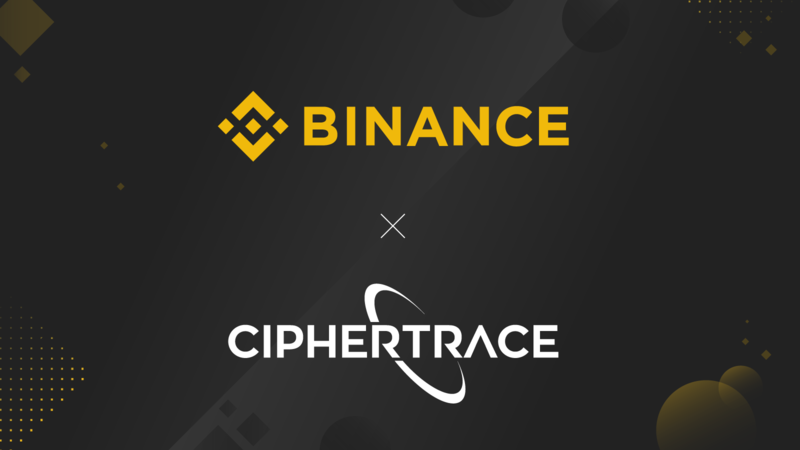 Binance is partnering with CipherTrace to enhance the exchange’s robust anti-money laundering (AML) compliance program. CipherTrace will raise Binance’s compliance standards in line with a worldwide progression of cryptocurrency regulations and developing frameworks. 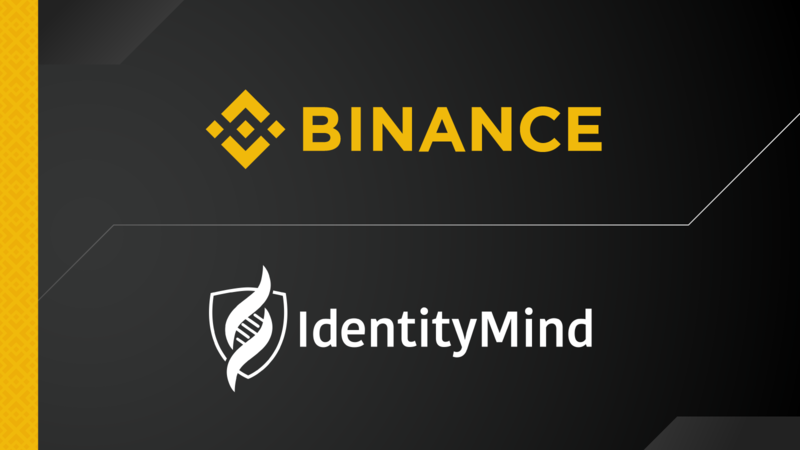 Binance has also partnered with IdentityMind, a risk management and RegTech compliance platform with Know Your Customer (KYC) and Anti-Money Laundering (AML) services. As part of a joint mission to help raise the industry’s standard, Binance and IdentityMind have begun undertaking steps to improve existing data protection and compliance measures for Binance’s global operations. - SDKs for three coding languages: Python, Swift, and C#. 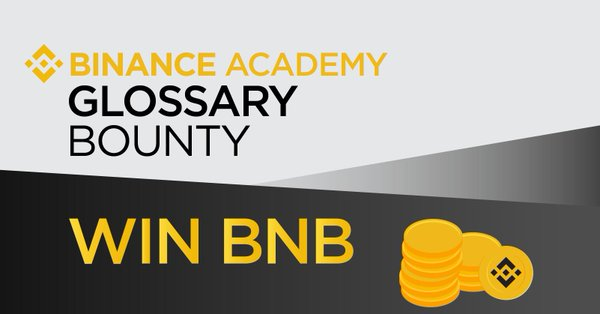 Binance will give away 200 BNB for the best entry in each language. - A signing service for Binance Chain and Binance DEX transaction data. We will give away 200 BNB for the best entry. 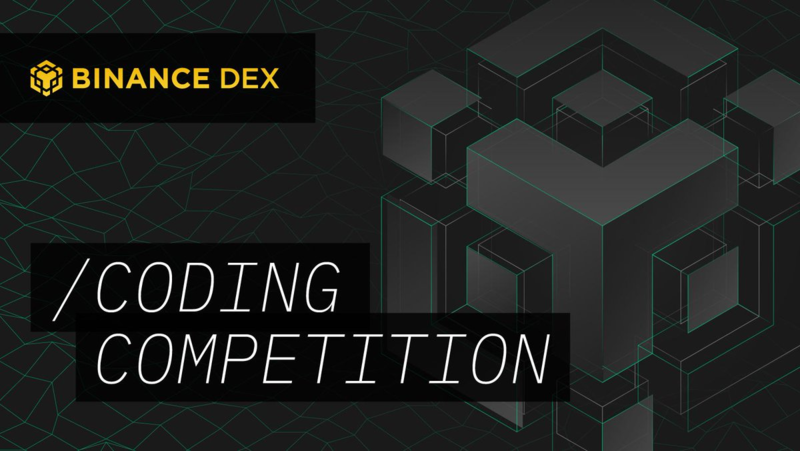 Binance DEX also concluded its simulated trading competition. During the event, Binance Chain saw 7.3 million transactions, with more than 666,000 new addresses activated and 320 tokens issued. Read the full details here, or find out who won here. 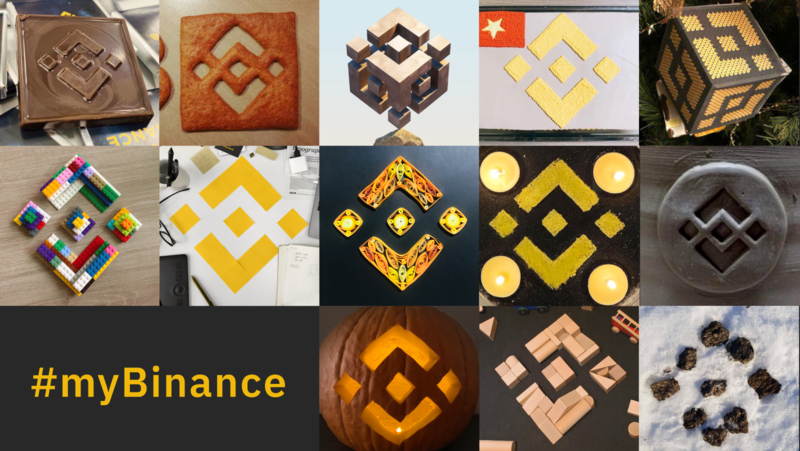 Meanwhile, Binance ran the #MyBinance contest, where we are giving away $500 in BNB prizes to the most creative recreations of the Binance logo using any material. Stay tuned for our announcements on which entries among the many creative ones managed to win. Binance also completed the distribution of certain tokens for March. This includes NeoGas for NEO holders, Ontology Gas for Ontology holders, VTHO for VeChain holders, and Pundi X tokens. In addition, we concluded the monthly distribution of BTT for April. In addition, Binance launched trading competitions for the Fetch.AI (with 400,000 FET given away) and IOST (with 10,000 BNB in prizes given away). Meanwhile, Trust Wallet ran a promo that granted 50 Thunder Tokens each for the first 2,000 wallet app users. Our communities are also ramping it up with ask-me-anything (AMA) sessions for Binance Charity, Enjin, NEM, Matic, IOST, and Kyber Network, across different regions. We also had some fun with regional contests as well, like the Holi Festival contest in India. 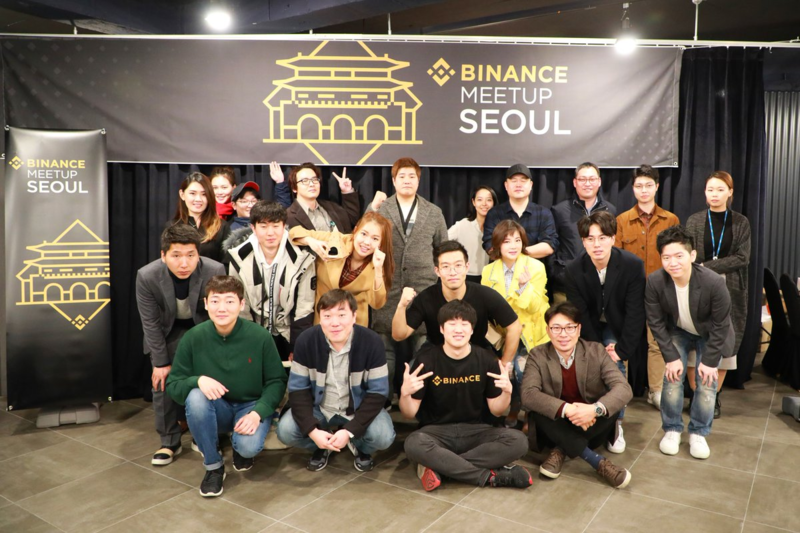 * On March 19, Binance held a meetup in Seoul, South Korea, to keep the country’s Binance community well informed of the latest developments in the Binance ecosystem. Watch the Seoul meetup’s video highlights here. 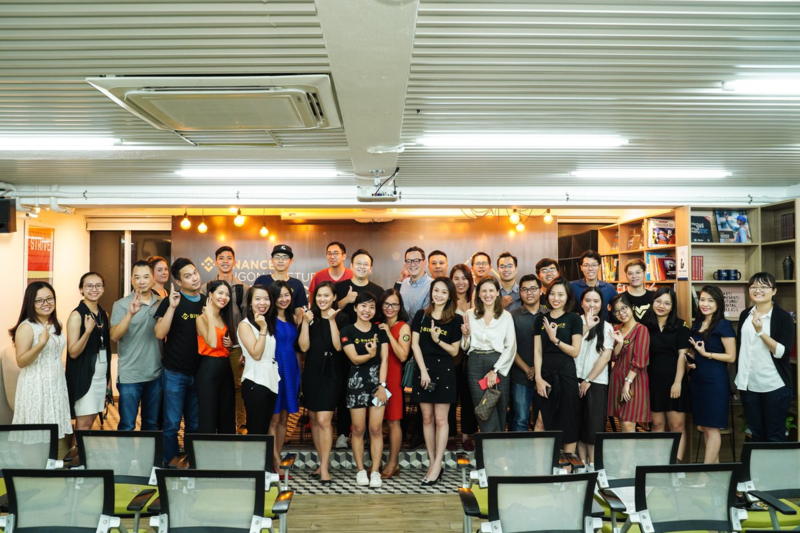 * The March 20 meetup in Saigon, Vietnam, featured Binance Labs Director Ling Zhang as a featured speaker. She spoke with the community about the blockchain venture work she does. 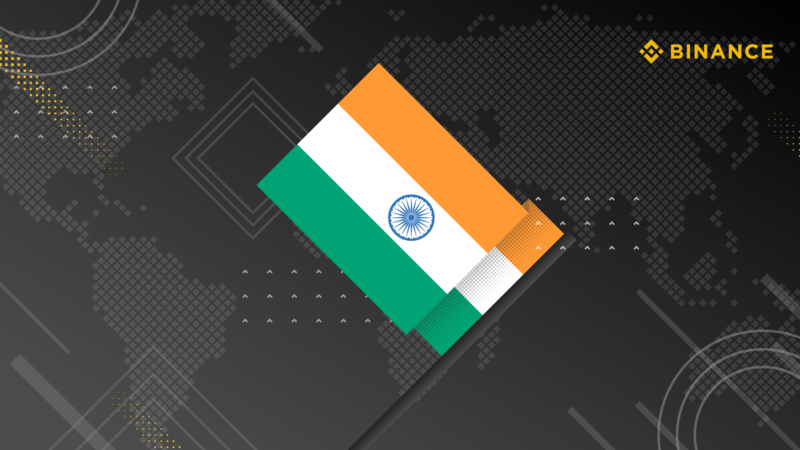 * The March 30 meetup in Bengaluru, India, the fourth such Binance event in the country, featured blockchain discussions that reflect the recent developments related to crypto acceptance in the region. 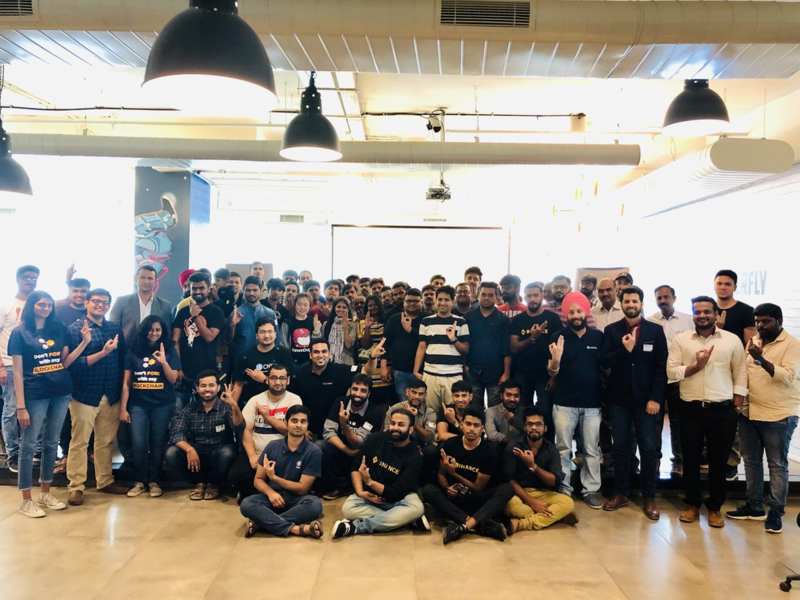 The Bengaluru meetup has been the most well-attended meetup in the country. 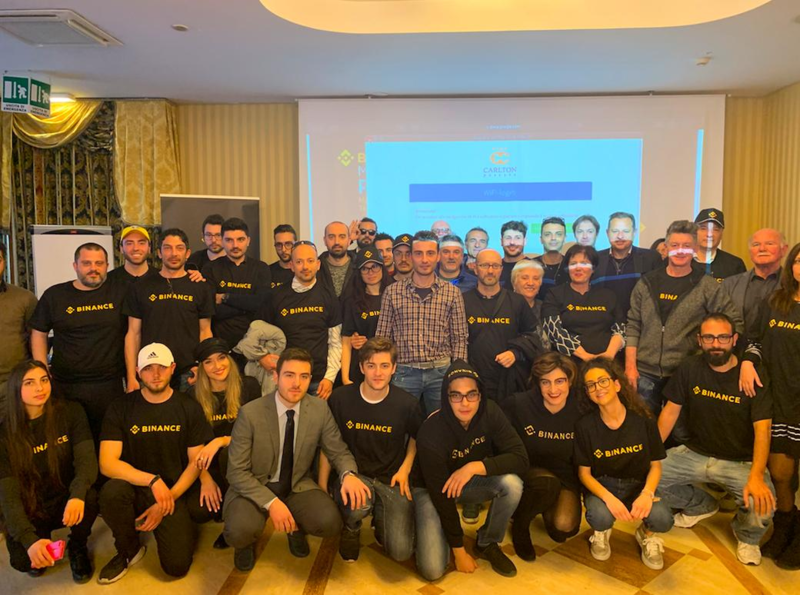 * The March 31 meetup in Pescara, Italy, continues Binance’s ongoing efforts to reach out to crypto communities in every major city in Italy. 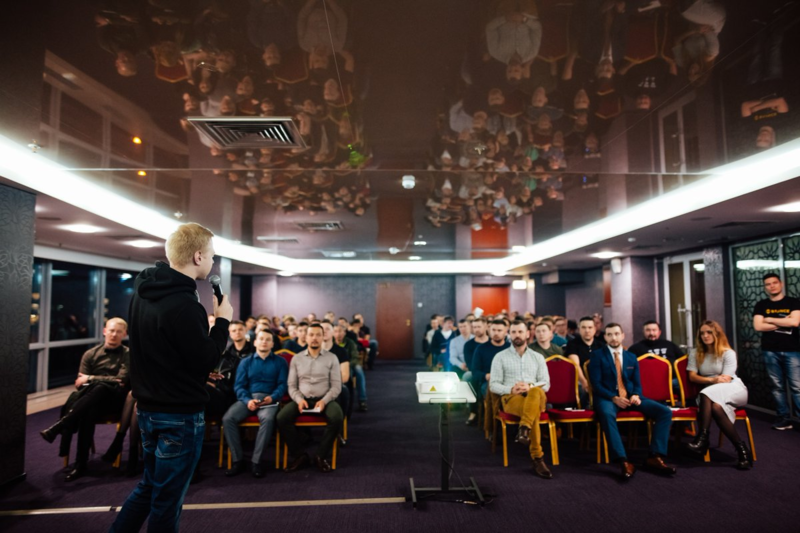 * The April 2 meetup in Saint Petersburg, Russia, has been well-attended, so much that there weren’t enough chairs for everyone. Special thanks to our active Russian community in the country’s second-largest city. * The April 6 meetup in Jakarta, Indonesia, is our first in this huge Southeast Asian nation. Special thanks to our Indonesian Binancians and the special guests from the country’s crypto scene who attended our event there. 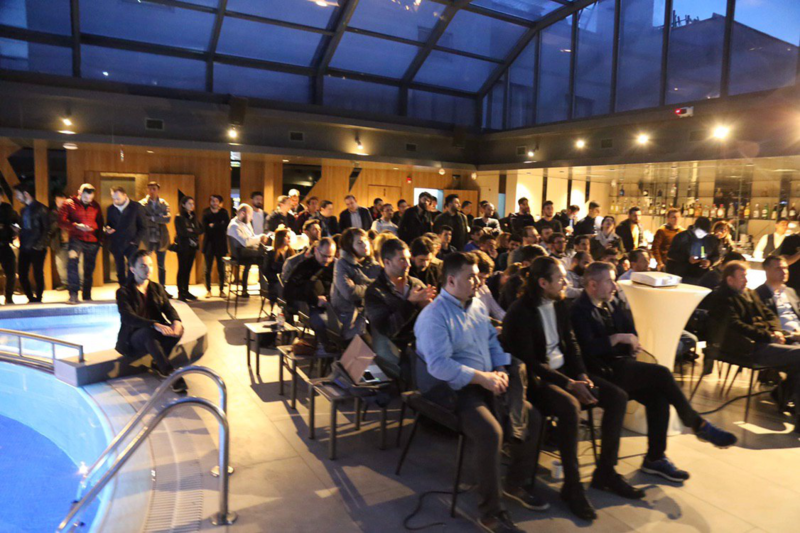 * The April 6 meetup in Istanbul, Turkey, featured Binance Strategy Officer Gin Chao as the special guest, mingling with the Binance Turkish community. * The April 10 meetup in Kazan, Russia, happened just days after the meetup in Saint Petersburg, but the interest level is still the same. 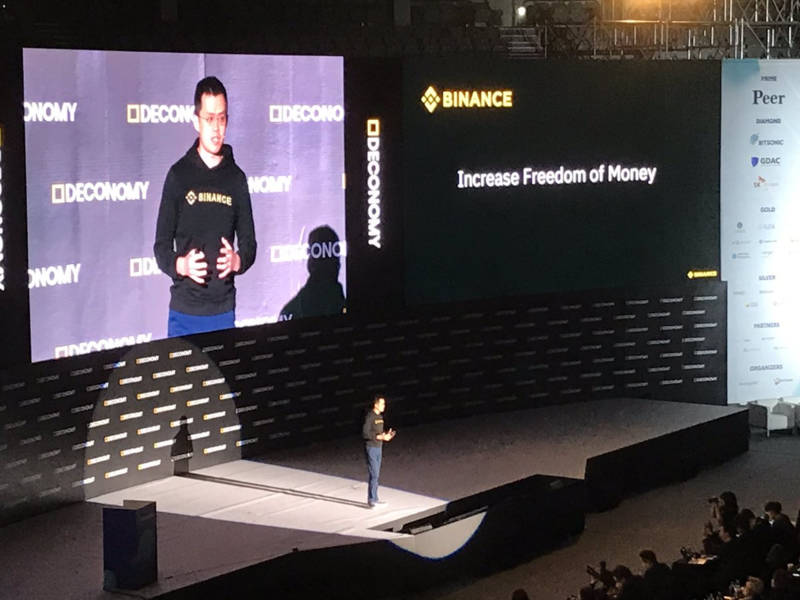 Binance CEO Changpeng “CZ” Zhao announced the upcoming launch of Binance DEX and Binance Singapore during his keynote speech at Deconomy 2019 in Seoul, South Korea. CZ was also interviewed on Bloomberg about Initial Exchange Offerings. Read his responses to the media outlet’s six questions. 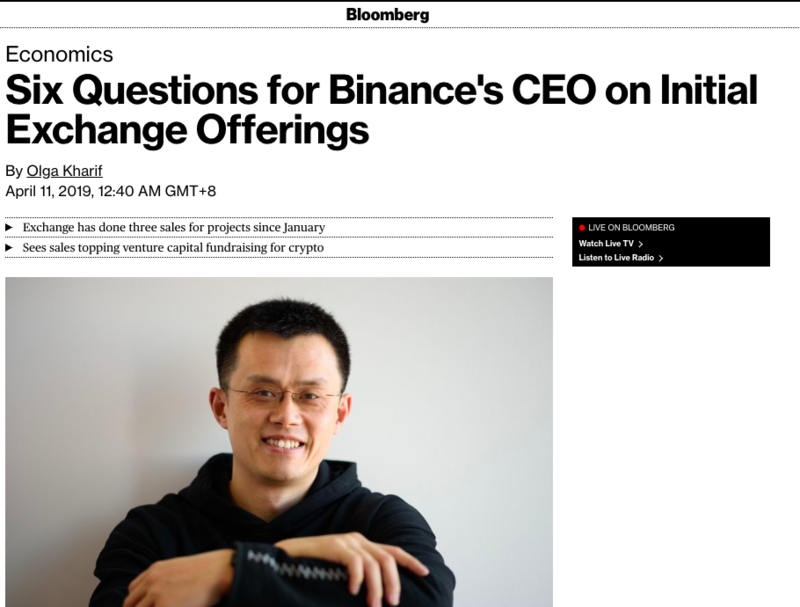 Binance Co-founder and Chief Marketing Officer He Yi was interviewed by Korean blockchain news website Blockinpress about the future of Binance. 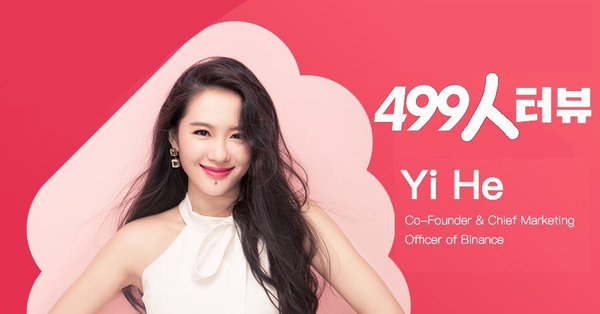 Binance Charity Head Helen Hai held a live ask-me-anything (AMA) session to answer questions about Binance’s philanthropic arm and its various projects. Got more questions? Here is an FAQ from Binance Charity. 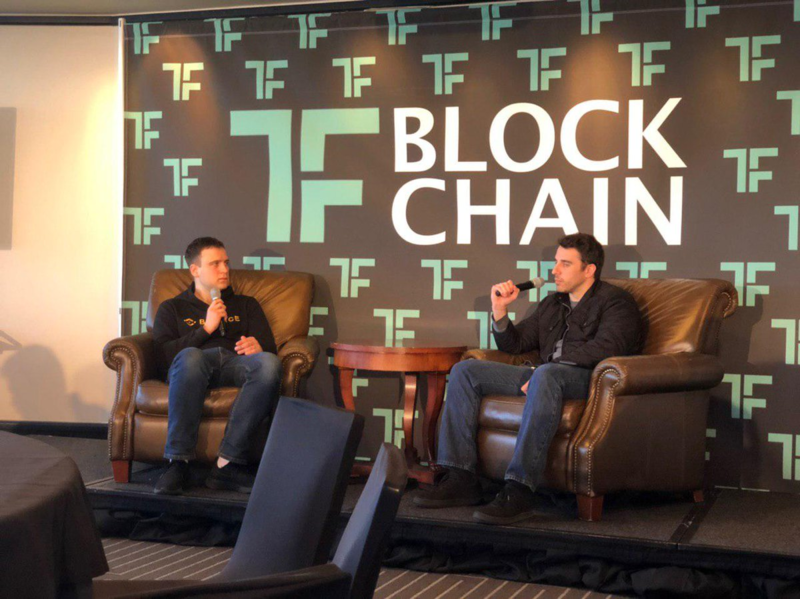 Trust Wallet CEO Viktor Radchenko was the special guest for a live recording of the Off the Chain Podcast, hosted by Anthony Pompliano, known as “Pomp”. Read our latest thought leadership piece on how blockchain can revolutionize remittance in India. * Hottest Crypto Coin's Massive Rally Echoes Bitcoin's Glory Days -- Bloomberg, Economic Times (India), Japan Times. Please follow us on Instagram, Twitter, and Facebook to stay up-to-date with our latest announcements. Join our official Binance Telegram group to participate in discussions with our users, staff, and volunteers.